Mashad is located 909 km (564 Miles) from Tehran in North-eastern Iran. 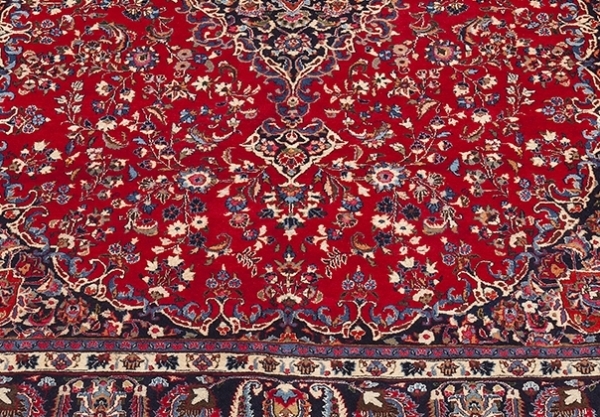 Mashad carpets are mostly curvilinear with a single central medallion, corner floral designs, and very busy curvilinear floral motifs in the background. 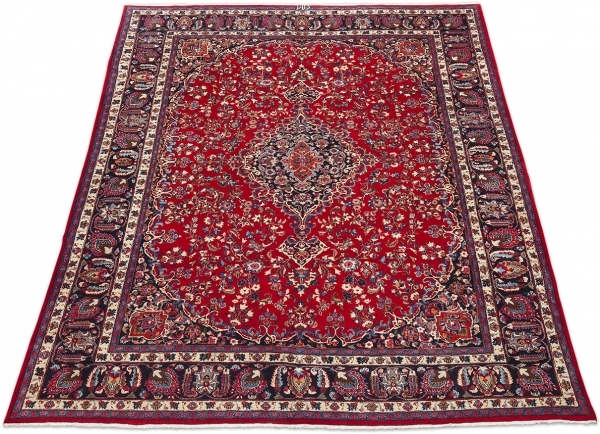 Mashad rugs and carpets are very high quality and are among the best-looking carpets in Iran.